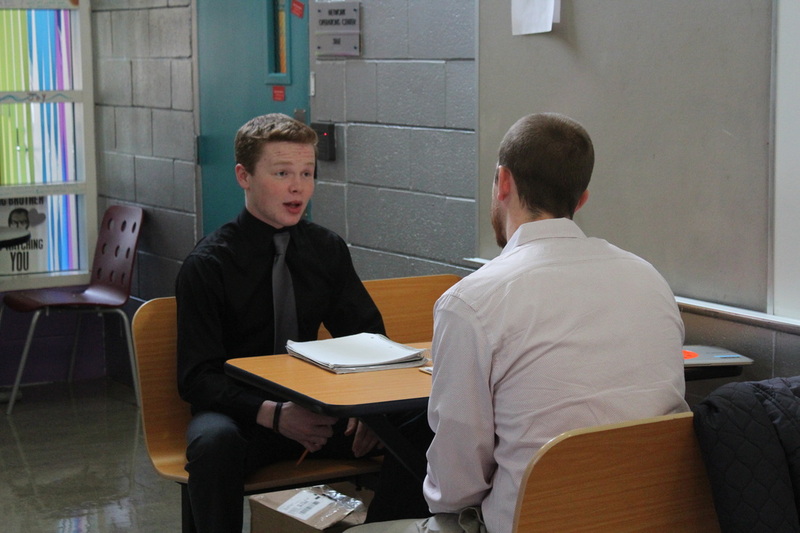 The goal of this unit is to prepare for the upcoming Mock Interviews. You are expected to understand the dynamics of interviewing. The best way to avoid nerves is to prepare and practice. A conversation about your fit for a specific position. Someone liked your resume enough and they wanted to talk to you. Show how you can benefit the company. Learn more about the company and a specific position. Here is a power point about interviewing that we will use to get started. In order to prepare for this MOCK INTERVIEW experience you will be asked to take the following steps. Prepare written responses (bullet points ONLY) to basic interview questions. To do this start by opening a new google doc to draft your answers (NOT written out word for word) - label this document Commonly Asked Interview Questions. 2. Respond verbally to basic interview questions using InterviewStream and Ohio Means Jobs Big Interview. Your responses will count as a Formative Grade. The 7 questions are listed below. After you craft your responses in writing you will respond using Interview Stream and OMJ Big Interview Assignments. You may NOT start the recordings until you have bullet points for your responses. Here are the 7 questions you should answer first in writing then using Interview Stream or BIG Interview (OMJ)! Tell me about yourself. Crafting the response to "Tell me about yourself" leaves many students unsure and vulnerable. Here is one strategy for beginning your answer. Use your google doc to bullet point your answer. Use OMJ: Big Interview to record your answer when you are ready. Share answer with Mrs. Soeder's email. Follow these steps. Click Visit Practice Interview Center. Go to Practice ( one of the red tabs at the top) Click Practice Interviews. Click the green arrow where it says, General Start Here. Click Jordan. You will find her under Top 10 questions, Standard level. First, read the tips on the left. Get to know who Jordan is. Review your bullet pointed answer. Do you want to make any adjustments? RECORD your answer. Share your answer with Mrs. Soeder. What is your greatest strength? Use Interview Stream to answer this question. What are some of your weaknesses? Use Interview Stream to answer this question. What is your long-term career/educational goal? Use Interview Stream to answer this question. What is your greatest accomplishment and why? Use Interview Stream to answer this question. Defining Competencies and Sample Stories. When you have watched the above sections you are ready to bullet point your stories using the template suggested in the Answer Builder section. This section is found under My Tools. Follow the prompts after you click Answer Builder. Start where it says, "Answer Builder Home." Tell me about a time when you failed and how you learned from this failure. Tell me about a recent project in which you are proud of? Explain your contribution. The end is near and you should be feeling confident and ready to ace your Mock Interview experience. Before we call you ready to go there are a few last minute preparations that we should take care of. First, let's look again at the rubric. Click the link to see how you will be evaluated. Read through each criteria. Send Mrs. Soeder an email with a subject "rubric" and tell her 3 areas you feel ready to go in and 3 areas that you are unsure about or maybe that you are surprised are even on the rubric. If nothing surprises you or if there is nothin you feel unsure about tell Mrs. Soeder why. Explain what worked for you in the preparation and why you found it helpful. One area of the rubric that we have not specifically practiced for yet though we have discussed is the question that you will ask. What question will you ask the interviewer at the conclusion of the interview. Now, It's clear you are not applying for a specific job but you should be prepared with a "go-to" question. 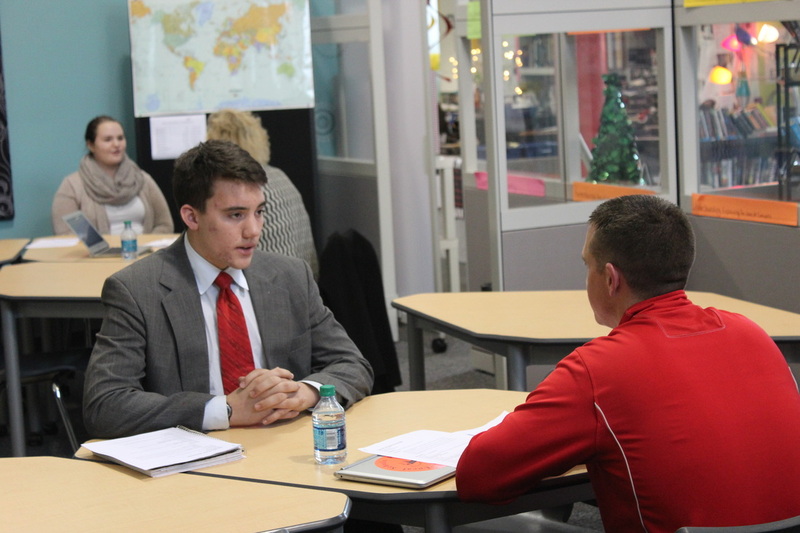 Use lesson 10 "Ask Smart Questions" of Ohio Means Jobs BIG INTERVIEW to consider your options. First,watch "What you'll Learn in Lesson 10" then watch at least 3 segments to get an idea about what questions you can ask when you are in an interview situation. Send another email to Mrs. Soeder with the subject "questions" and identify three possible questions you could use. You are responsible for memorizing these questions. Finally, let's play a game of Interview Roulette. Return to BIG INTERVIEW. Click on the red tab that says "practice" where you will find one of the items is Interview Roulette. Each round of roulette consists of 20 questions. As a high school student you will find that about half of these questions actually apply. Your job is to start the interview and skip questions that don't apply or adjust your answers so that they do apply. You must answer ten of the twenty. You will be surprised at how random they seem after working through the commonly asked questions we practiced in class. Once you are done go to My Tools and then click My Videos to share your video with Mrs. Soeder. 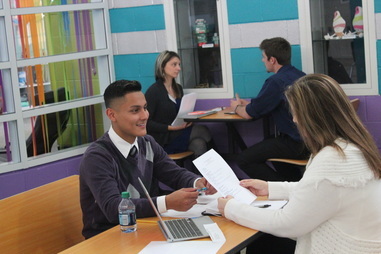 ​By the end of this process you will be ready for the MOCK INTERVIEW Experience. Click here to see the EVALUATION that interviewers will be using to evaluate your interview at the Mock Interview Day. 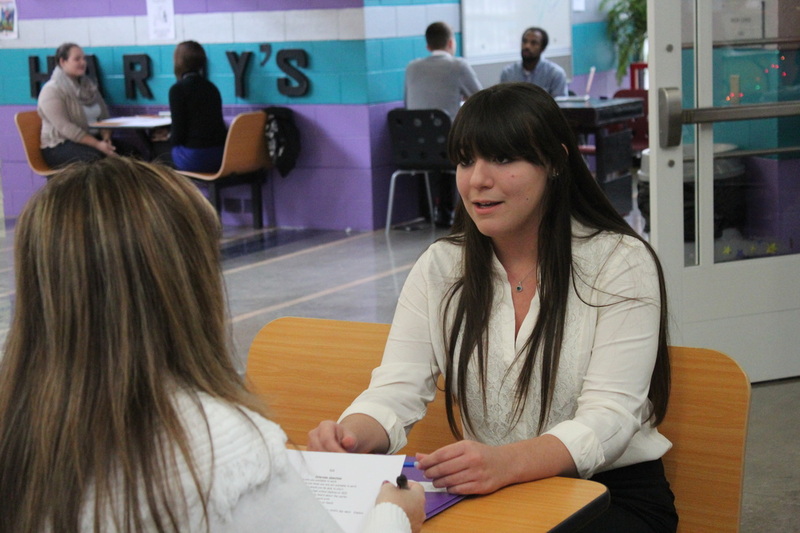 Click here to see the Mock Interview Preparation Letter that went out to the interviewers.